Louise Erdrich, author of wonderful books and owner of the wondrous Birchbark Books in Minneapolis, spent yesterday with Michelle Obama and nineteen other accomplished women, visiting schools in Washington, D.C., to highlight the importance of mentoring girls. Actresses Geena Davis, Hilary Swank, and Alfre Woodard, skater Michelle Kwan, astronaut Ellen Ochoa, and a raft of similarly renowned women later dined at the White House with 120 girls from D.C. schools in celebration of Women’s History Month. This event was also the kickoff for Lifetime Network’s national campaign to encourage mentorship of girls. All together, now: You GO, Louise, and you GO, girls! When it comes to the work of flood prevention, management, and mitigation, we don’t all speak the same language. Where a city engineer sees sluice gates, a homeowner sees a sump pump. Where a hydrologist sees—or doesn’t—a loop in a rating curve, a city emergency manager sees potential sandbagging capacity. But over the last fifteen years, and years of severe to catastrophic floods in the Upper Midwest’s river valleys, it has become critical that we share a common parlance when it comes to the decisions we make about how to live with rivers and other bodies of water. For too long, we have remained complacent tenants of floodplains and watersheds. Human beings are drawn to bodies of water, often at their own peril. That’s why we see people continue to build homes on floodplains, on sandy barrier islands in the Gulf that are continually battered by hurricanes, on rocky cliffs on the West Coast that are washed away in mudslides. It’s a risk we take, and yet, for so many people—so many communities—surprise and shock are the responses when these disasters take place, even though these “disasters” are actually natural occurrences. In fact, they are only disasters because they occur at a place of human habitation. The truth is, disasters are largely social products. 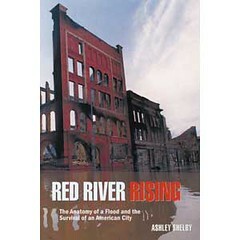 In Grand Forks, North Dakota, in 1997, people had lived on the Red for generations. It’s typically a mild-mannered stream-like river that cuts a narrow channel, flows north, and is generally sluggish. It climbs no grand inclines, except the ancient shores of glacial Lake Agassiz. However, it is prone to flood almost every year because of that very flatness. There just isn’t anywhere for excess water to go. In the decades preceding 1997, flooding had been kept in check. Yes, there had been a catastrophic flood in 1897 and a few close calls through the years, but 1997 was shaping up to be a do-able flood season. The crest would be high, but the hardy folks of Grand Forks had been through this many times before. Sandbag until you collapse, turn on your sump pump, and hunker down. But the advance of time and technology has made us arguably overly reliant on technology and perhaps not as in tune with the environment, the watershed, and the way rivers historically behave—and, perhaps more important, the chance every year that they will do something totally unexpected. While the hydrologists at the National River Forecast Center in Chanhassen were unable to see a strange loop in the rating curve detailing flow and velocity of the Red at East Grand Forks (in fact, it is patently impossible to see a loop in a rating curve until after the event), the waters of the Red poured into downtown Grand Forks and East Grand Forks and the face—and the soul—of both communities were changed forever. Floodplains were cleared, homes razed, dikes built, floodwalls raised, and while these efforts were necessary, they caused great heartache for the residents of Grand Forks. Fargo recently had to make some tough decisions as well; it cleared some of its floodplain of homes in order to enlarge that plain and ensure that flooding of the kind that took place last year doesn’t have quite the same human impact it did. That wasn’t an easy decision, I am certain, and the city council probably got an earful, just as the Grand Forks city council did. People may understand, logically, that keeping their home on a floodplain, near a river that regularly floods, doesn’t make sense. But when that home has been their castle for decades, when they have—as many in Grand Forks maintained—survived all floods with nothing more than a wet basement, these decisions are very difficult to swallow, especially when they are being made for you. It’s important to try to avoid such scenarios, if at all possible, and that’s where watershed management and pre-flood mitigation comes into play. What’s being done in the Lac Qui Parle-Yellow Bank Watershed, for example, is providing critical flood prevention and mitigation to the communities on that part of the Minnesota River: the Lazarus Creek Dam, the Fish Lake Outlet Repair, stream bank stabilization projects, the levee on the West Branch. The Hansonville 34 new dam was the result of the district working with a single landowner to construct a dam for flood retention by doing some cost sharing. Efforts like this save millions upon millions of dollars in flood damage and also put these issues in front of the community at large, making flood mitigation and prevention a community-wide effort. Perhaps more important, they give citizens the feeling that they can become part of the dialogue and have some say in the way their town fights floods. The National Weather Service released its first flood outlook for the Red River Valley in late January, and it told flood watchers that there was a 50 percent chance the Red at East Grand Forks will rise to fifty feet or higher this spring. Only twice before in its recorded history has it done that: in 1897, when it hit 50.2 feet, and in 1997, when it rose to the apocalyptic 54.35 feet. It may be a spring to watch the way decisions made in the midst of catastrophe and loss can prevent catastrophe and loss from happening again. Sneak a peek under the fabric of American life with the new book In the Mood for Munsingwear: Minnesota’s Claim to Underwear Fame by Susan Marks. This richly illustrated book is not just a history of the company but an intimate look at the changing mores of America. The exhibit Underwear: A Brief History, based on the book, opens Saturday, May 7 (Mother’s Day weekend), at the Minnesota History Center. Explore Minnesota’s racy side with author Susan Marks at the History of Hip event, Minnesota Naughty, next Tuesday, March 29, from 7:30 to 9:00 p.m.
Susan will also cohost the May 12 RetroRama fashion show with Anna Lee of MNfashion. Local designers including Project Runway’s Christopher Straub will present a collection based on Minnesota-made foundation garments. Plus, pick up something frilly at a vintage boutique courtesy of Blacklist Vintage, learn how to mix a cocktail from Iron Bartender Jasmine Poland, dance to the music of the Southside Aces, and make a pair of Munsingwear boxer shorts to take home. Can’t get enough of the fabulous print Munsingwear advertisements? Visit the MHS Flickr Munsingwear Vintage Advertising Set. Share your comments here, or join us on Twitter @MHSPress, #mnundies! We are pleased to announce that MHS Press/Borealis Books author Anton Treuer is the recipient of the 2010 Sally Ordway Irvine Award in Education. The Sally Awards honor individuals or institutions that strengthen and enrich the state of Minnesota with their commitment to the arts and arts education. The awardees’ talents and determination help make Minnesota’s quality of life excellent and its culture unique and rich. The Sally Award is based on the “First Trust Award” presented in 1986 to Sally Ordway Irvine, whose initiative, vision, and commitment inspired the creation of the Ordway Center for the Performing Arts. 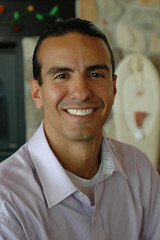 Anton Treuer is professor of Ojibwe at Bemidji State University and the author of Ojibwe in Minnesota and The Assassination of Hole in the Day. For more information on the other award winners, see Rohan Preston’s article in the Star Tribune. Last time you had a quick question—about multivitamins or anti-virus software or Kafka—where did you look for the answer? Odds are you pulled up Wikipedia or your favorite search engine. The Web has become the place to get a question answered quickly or a head start on research. That’s why MHS Press is creating a digital encyclopedia of Minnesota history in partnership with other divisions and departments at the Minnesota Historical Society. It’s a way to share relevant, reliable information about Minnesota where students, teachers, researchers, and others are looking to find it—online. We launched the project in February 2010 with support from the state’s Arts and Cultural Heritage Fund. Now we’re creating content and building a website prototype, slated to launch this summer. MHS Press authors including Annette Atkins, Rhoda Gilman, Larry Millett, and Thomas Peacock have signed on to contribute. We’re also writing encyclopedia entries in-house, taking advantage of the rich resources housed at the Minnesota History Center, from historic photos and maps to back issues of Minnesota History magazine. You can help us make important decisions about the direction of the encyclopedia project by taking this quick, five-question survey: http://www.mnhs.org/EncyclopediaSurvey. Tell us what you think, and we’ll keep you posted on our progress! SteppingStone Theatre presents Get Up Your Irish, a play about a boy ’s journey from Ireland to a new home in St. Paul. The performance, on now through March 20, features members of the Two Tap Trio with youth performers from O’Shea Irish Dance and the Center for Irish Music. After the performance on Saturday, March 19, join the post-show discussion with MHS Press editor in chief and last year’s Distinguished Irish Woman Ann Regan, author of the book Irish in Minnesota. Or, head over to the James J. Hill House March 18 or 19 and enjoy your favorite Irish tunes in the mansion’s restored art gallery. Woodbury Community Theatre and the vocal group Classic Sounds will take you on a journey from Ireland to America, singing many of the standards you love to hear. A reception and tour of the house follows each performance. Q. It’s been ten years between your first book and this one. How has publishing changed for you as an author in that span? A. Publishing as it was no longer exists: far fewer books are being published, the business is slow to embrace technology, and the old model has worn out. Editors and marketers don’t seem aware that the entire next reading generation of twenty- and thirty-somethings will inevitably do most of their reading on devices and won’t necessarily want long novels by debut authors. They will likely read e-books first; then, if they love it, they might buy the physical book. Q. Shelter is available as an e-book. How do you feel about readers experiencing your book on an electronic device? A. I have mixed feelings. One of my sisters had been in Mexico over this month as Shelter is released, so she ordered the Kindle edition. I wished she’d waited for the physical volume, since it’s a lovely little book to hold and I think it would have added to the experience. That said, I don’t generally have any problems with e-books—they are the future, and while my first book is no longer in print, at least it’s available as an e-book. The Ice Chorus is also out in e-book. If done right, the author gets a better percentage of sales. Q. In finding land and building a retreat, did you achieve your goal of bridging some connection between your father and son? A. Sam never had the chance to bond with a grandparent the way so many of us have. But I think observing me write this book and building our little place, he began to appreciate the land and learn more about his grandfather. So, yes, mostly, just not in the way I’d imagined. Q. At the end of Shelter your son was in Tokyo. Where is he now? A. After some visa problems in Japan, he’s back in the Twin Cities, a full-time student with a double major in art and design. We have lunch; it’s great. A. I’m hoping to find a publisher for my latest book, Vacationland, set in a remote resort in (where else?) northern Minnesota. The bulk of the story is told by visitors over the sixty-year life of the place and by the granddaughter who returns as an adult decades after being raised there. Q. Sounds a little like Shelter. Is it at all biographical? A. No, just set on similar ground. I’m also halfway through writing a novel based on a screenplay I recently finished, Fishing With RayAnne, about the camera-shy host of the first all-women fishing/talk show on public television. It’s a dark comedy, really fun to write. Q. What is the status of your land now? Is it safe, or will the road project go through? A. I still don’t know—just have to deal with not knowing. The cabin is on shaky ground, but at least for now we still have our place in the woods. Thankfully, my family is rock solid. I’m thinking of getting a dog . . . it’s all good. 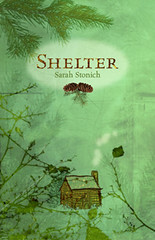 We are pleased to announce the publication of Shelter by internationally acclaimed author Sarah Stonich. Stonich shares her new book trailer for Shelter and, in part one of a two-part interview, talks about family tradition in Minnesota’s north country. Q. What most surprised you while writing this book? A. In doing research, I realized how much I’d romanticized the past with a sort of soft-focus vision. In reality, the Minnesota my grandparents settled in was pretty harsh. I was reminded how difficult daily life was--laundry day alone for a family of twelve in 1903? The dozens of conveniences I don’t give a thought to, like flipping on a light, would have been ultimate luxury to them. Q. You’ve written about your grandmother’s era in northern Minnesota before as the setting for These Granite Islands. And you mentioned your next novel is contemporary and also set there. Now, in Shelter, you’re writing about the very real place in the present. What about it keeps providing material for you? A. A lot of writers, I suspect, find that places once thought boring or plain actually become inspiration for a lot of work, once you get far enough away from them. Q. Most who write about the north tend to be very reverent of “God’s Country,” but you seem to have a love-hate relationship with it. Do you? A. To a degree. If I could go back in time and convince my grandparents to keep traveling west to the Pacific Coast, I would. I pine for the ocean. I love Minnesota in spring and fall, but not during those six months I hardly ever see my feet. I don’t believe surviving the climate builds character and can’t get excited that the town down the road holds the record cold temp. Then again, you can’t beat Lake Superior in July. So, yes, a little love-hate. Q. In Shelter the theme of land providing solace and retreat plays heavily for you as an adult. Has it always been so for you? A. Growing up, the lake often felt the safest, calmest place to be, especially during the years of my parents’ divorce. I went to a Catholic school, where I found the religion frightening and my studies difficult. Our cabin was a haven from all that--not the building, which wasn’t much, but the woods and water. A rowboat is as good a place as any for an awkward, introverted kid. Q. You wrestle with how you “fit” on the Iron Range and with the political divisions there--are those still issues? A. Well, not quite wrestle. But politics is really a toxic topic for a lot of folks up here--especially around the real land issues that make my own little dilemma a trifle. There has been a historic, constant tug-of-war over land and its ultimate best uses--it’s all about mining and money versus conservation. If the natural resources were left alone, they would become the most valuable, as a legacy. There are a lot of mines in the world, and plenty of places to jet ski, but there’s only one Boundary Waters. Q. If there was one principal message in the book, what would you say it is? A. I never intended a message and can’t predict what readers will take away from it, but for me, the meaningful bit would be that material things and land only set the stages we live on, that family and the people we choose to live with are the real deal. The land, no matter how well we tend it or how badly we screw it up, will be there long after we aren’t. 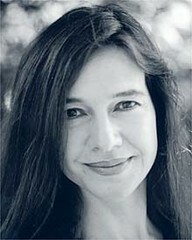 Thursday, April 14, at Micawber’s Books, with author and poet Kate Kysar, editor of Riding Shotgun. 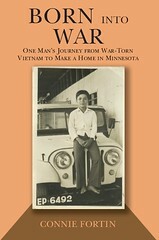 The current issue of Asian American Press features an article about a fine and important Minnesota book: Born into War: One Man’s Journey from War-Torn Vietnam to Make a Home in Minnesota, by Connie Fortin as told by Trong Nguyen. 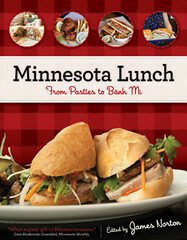 Several years ago in a Hamel, Minnesota, restaurant, Nguyen asked a customer whom he barely knew to take on the task of turning his memories into a book—and Connie Fortin agreed, much to her own surprise. The resulting story features drama, pain, suspense, hard work, luck, love, and success, all told in Trong’s voice and illustrated with family photos from Vietnam and America. It also offers readers a chance to share the experiences of a refugee, to marvel at his accomplishments, and to follow his return to Vietnam to seek out the remains of his father, who was killed by the Viet Cong in a jungle camp. The book, published by North Star Press of St. Cloud, is available online and at the Minnesota History Center Museum Store. The Minnesota Monthly Food & Wine Experience takes place this weekend, March 5 and 6, at its new home at Target Field. Enjoy gourmet fare and sample more than 350 fine wines and 75 specialty brews. Check out the website for times and admission. Local indie bookstore Magers & Quinn will host a book table at the extravaganza featuring signings by regional culinary stars Stewart Woodman, James Norton, Robin Asbell, Shelly N. C. Holl, Janice Cole, and Ana Micka. 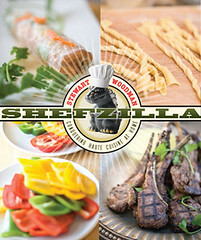 Rev up your taste buds by preparing Stewart Woodman’s Red Wine-Poached Tenderloin with Tarragon Spaetzle, one of his superb recipes in Shefzilla: Conquering Haute Cuisine at Home, or any of the tasty lunches featured in the brand-new book edited by the Heavy Table’s James Norton, Minnesota Lunch: From Pasties to Banh Mi.